We are your liaison to wine country living and cuisine. 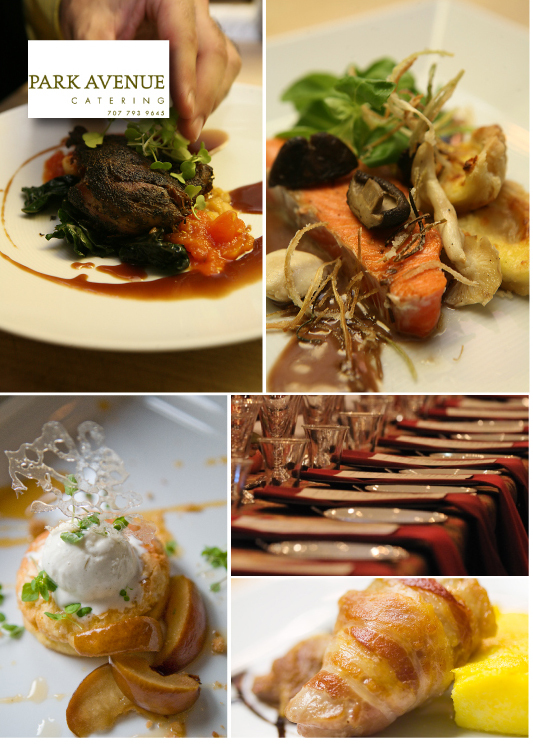 At Park Avenue Catering, we have been creating memorable experiences in Sonoma, Napa, Marin, San Francisco and throughout the Bay Area since 1986. Bruce Riezenman is the Executive Chef and owner of Park Avenue Catering, the first Green Certified caterer in Napa and Sonoma counties. He is the author of Pair It!, a food and wine pairing application for the iPhone and Droid. Bruce has cooked and taught food and wine pairing throughout the world and has been a Guest Chef at the James Beard House in New York City three times. Chef Riezenman was one of the early leaders in local and wine country cuisine, going back over 25 years. He continues to grow, learn, and lead, offering his personal passion for food and wine to you.